After a quarter century of rapid urban and productivity growth, China is in the midst of an economic downturn. This economic decline is not cyclical in nature but rather a consequence of a deceleration in productivity growth. While the global economy is relatively strong, a further dilapidation of China’s economy will have shocking effects on the rest of the world and markets. Growth in the world’s second largest economy is down to a 28 year low of 6.6% and is expected to fall further to 6.2% this year. At its core, China’s economic slowdown can be stripped down to a demographic dividend which ended in 2012. In essence, China’s ageing population is posing a major threat to the government which has few resources to cover this demographic. Meanwhile, the productivity increases enjoyed by improved education levels among the workforce have slowed. By the same token, the growth of China’s price based market economy and subsequent growth of the private sector, spurred by a transition away from a top down system of resource allocation, has plateaued. Equally significant is China’s export rates: for the last three decades exports have grown by an average of 17% per annum. These productivity increases have propelled China to pose a threat to the west. However, for the country to maintain their extraordinary levels of growth, they will need to take market share away from other exporters. Against the backdrop of the Sino-U.S. trade war, China has delayed economic reform by promoting a stable monetary policy. This is primarily to avoid conceding on anything prematurely. However, internal opposition to the trade war has put pressure on the Chinese government to make concessions and consider further opening their hybrid communist economy to foreigners. The Chinese government’s legitimacy and widespread domestic support has rested on the success of their economy since the 1970s. As such, their contracting labor force is especially concerning. In particular, the pace of improvements to skill and education levels of the labor force has slowed. However, this slowdown represents a trade off between lower economic growth and higher quality growth for society, on a per capita basis. China’s economic slowdown may be a worthwhile trade-off in favor of improved quality of living and higher value added production. Conversely, China’s stock market lost 22% in 2018 and the Yuan has dropped approximately 6%. 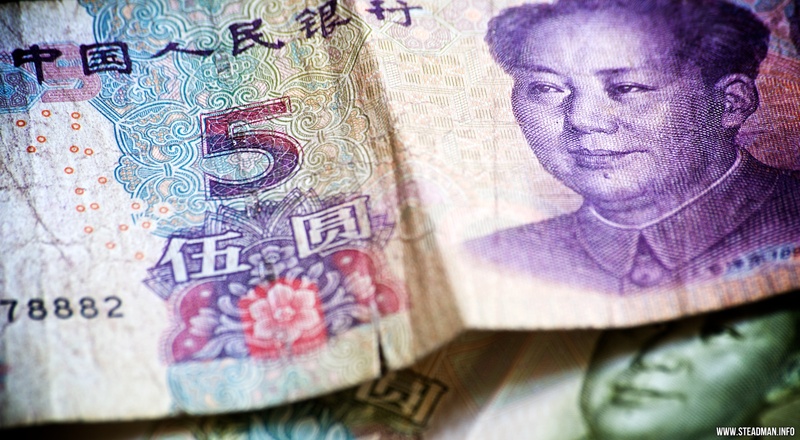 Consequently, Chinese banks are severely capital constrained. This means that the net capital available to banks for spending is limited. In response to pressure from the Chinese government, banks are considering selling domestic bonds in order to raise capital. For instance, the Bank of China Ltd. has already announced plans to sell 40 billion Yuan ($5.8 billion) of bonds. As long as banks are capital constrained, officials will inevitably face difficulties undergoing fiscal stimulus measures. The Chinese government’s role as both a lender and a borrower puts the country in a dubious position. Furthermore, much like in the Greek debt crisis, a high concentration of credit risk creates the potential for systemic collapse. China’s rising debt is cause for concern as global markets are at increasing risk of being affected. Blaming China’s economic slowdown on poor earnings reports has been a growing trend amongst MNC’s. NVDA management on Monday pointed to “deteriorating macroeconomic conditions, particularly in China” as further harming demand for gaming chips. Likewise, Germany has become increasingly concerned about the state of the Chinese economy. As a consequence, Germany has put pressure on China to institute meaningful reforms. China has made some efforts to reassure German investors of their concerns. However, based on precedent, it is unclear whether these pledges are simply lip service or if officials will tackle persistent problems such as intellectual property protection and market access restrictions. While China underperformed in 2018, its deleveraging process has been in place since 2017. This was reflected by a sharp tightening of credit after President Xi Jinping was appointed for his second term. While the West and Europe are calling for fiscal and monetary stimulus, China may do so at the expense of its planned fiscal cuts. In the long term, China needs to abandon backwards practices in order to transition towards greater social freedom. Policies such as residency control and access to public services have benefited China’s urban population and have created a fruitful service sector. However, for the 250 million immigrants that do not have urban residency permits, the prospects for integration seem weak. It is evident that the banking sector needs to adapt to the needs of the population. At present, China’s population needs to be better supported. Furthermore, it is important that officials do not fixate on GDP growth rates which inherently misconstrue the bigger picture. Policy makers and investors should look to China’s manufacturing purchasers index as a key gauge of China’s economic health. It is important to focus on policies that promote productivity and technological innovation. For instance, China recently announced reform of its state owned enterprise sector which will serve to open up key industries such as energy and telecommunications to non-state investors. In spite of the statistics, China’s global reach is set to expand. China is here to stay. Theo Gordon-Moritz is a U4 pursuing a degree in Political Science and Economics. Coming from a Swiss background, he is interested in European politics alongside international finance and foreign policy. His other interests include boxing and financial market analysis.